This was a really interesting case. 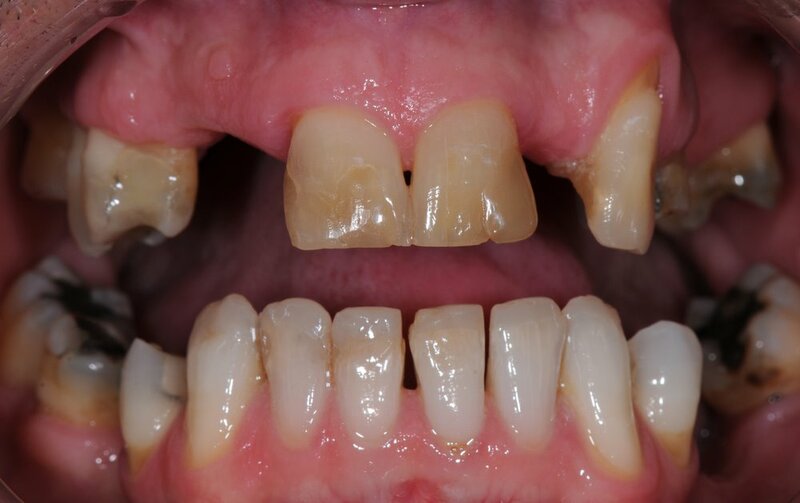 Prior to the course, surgical crown lengthening was done, as well as periodontal treatment and composite restorations to the incisal edges of the lower front teeth. 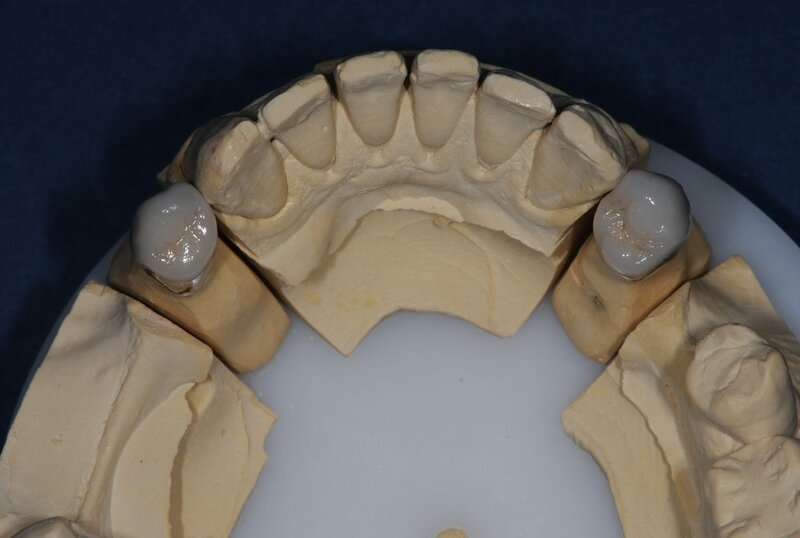 On the Course, upper and two lower crowns were provided, and cobalt chromium dentures made. The crowns had precision guide planes and rest seats incorporated in them. 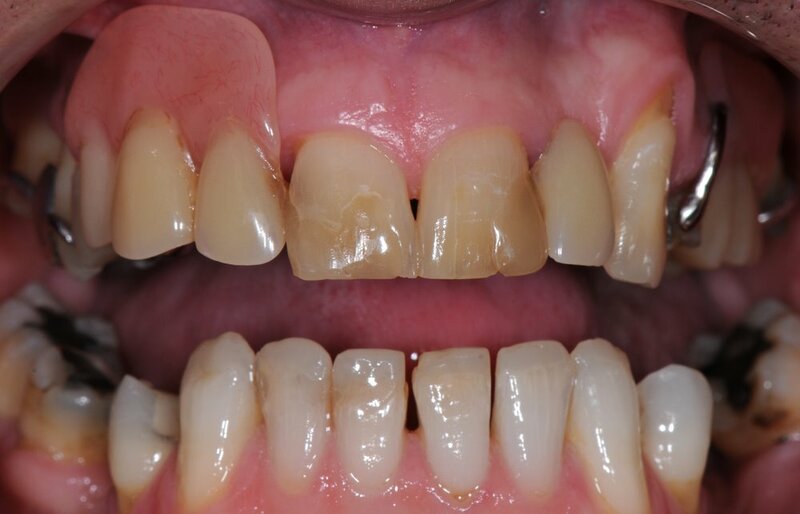 The occlusal vertical dimension was also altered and the case was treated in centric relation. 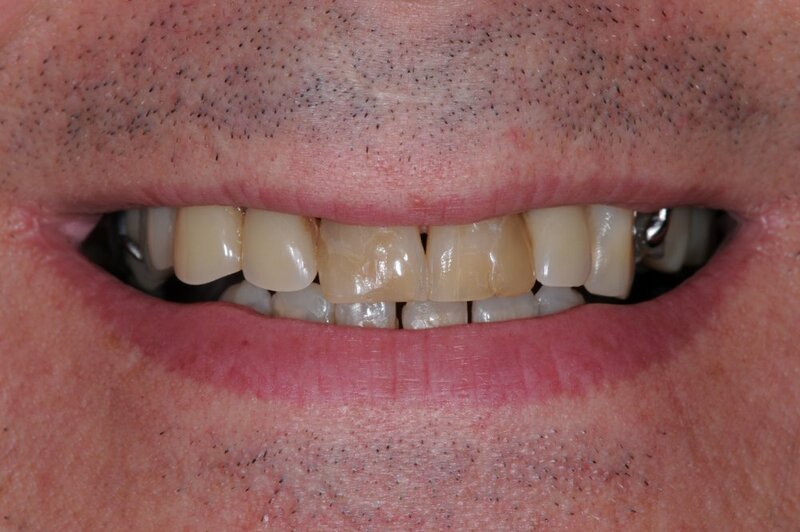 I have a surgical training background principally in the field of Periodontics and Oral surgery and had not done many cases or understood many concepts of a Smile Makeover, apart from the surgical management of soft tissues to prepare for restorations. 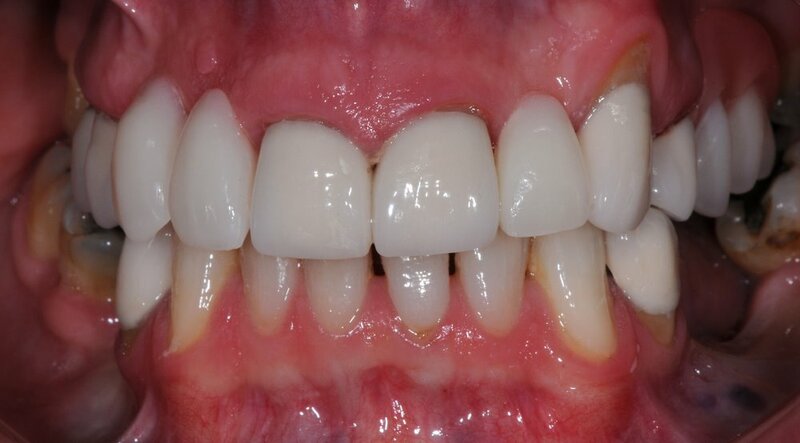 I had minimum in-depth knowledge of occlusion, and the comprehensive assessment that is required to undertake complex and highly demanding “smile design” cases. Ash is such a down to earth person, cool headed, knowledgeable, spiritual and an excellent teacher. 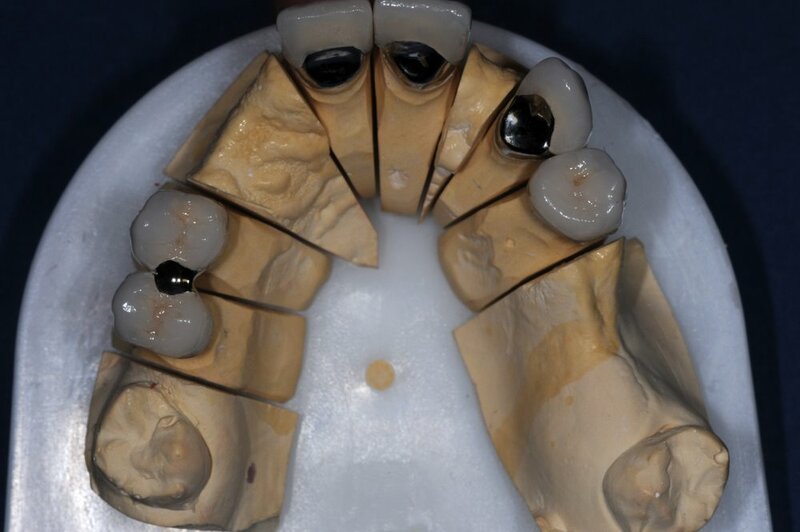 During the course he has taught us and given us exhaustive information about patient management, communication skills, team building tips, business and marketing tips and the use of some of the best materials available in the market today; and not the least, how to help and change patients lives dramatically by giving them confident smiles."